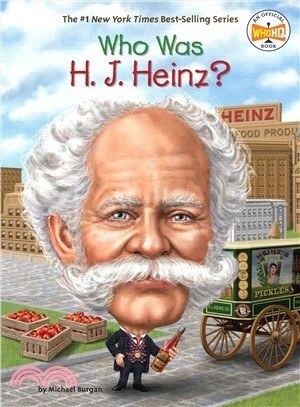 Who HQ has way more than 57 reasons why you'll want to read the amazing story of H. J. Heinz--the American entrepreneur who brought tomato ketchup to the masses. Learn how this son of German immigrants from Pittsburgh, Pennsylvania, turned his small food-packaging company into a booming business known for its fair treatment of workers and pioneering safe food preparation standards. This American success story follows Heinz from his early days as a pickle and vinegar merchant in the 1800s to the name behind the nation's number-one brand of ketchup. The name that's on everyone's lips is now part of the Who Was? series. Michael Burgan has written more than two dozen biographies for young readers, including Who Is Richard Branson?, Who Was Henry Ford?, and Who Was Theodore Roosevelt?.